Congratulations to Talibon who again garnered the topmost award in nutrition! 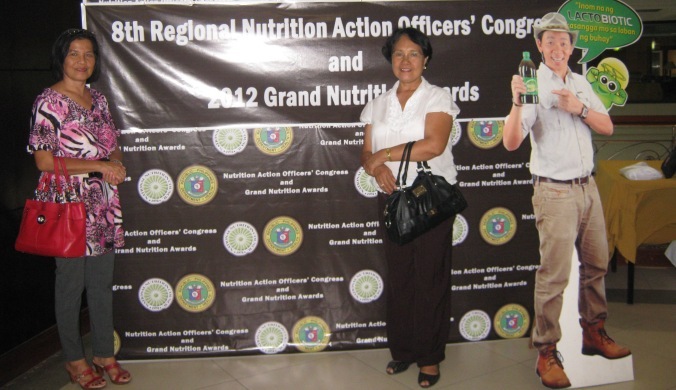 The “Nutrition Honor Maintenance Award” plaque of recognition was handed over to Talibon officials present at the awarding rites during the 8th Regional Nutrition Action Officers’ Congress and 2012 Grand Nutrition Awards Night. The affair was held at the City Sports Club Cebu, Cardinal Rosales Avenue, Cebu Business Park, Cebu City, Philippines last August 3, 2012. Talibon officials who graced the affair were: Dr. Francisco C Ngoboc, Jr. (RHU Head), Engr. 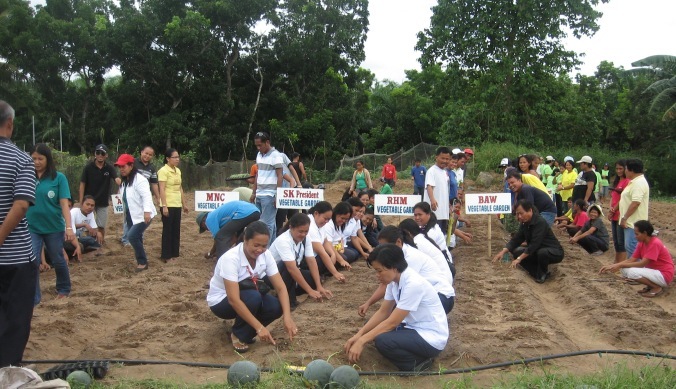 Ednardo Avenido (MPDC Head), Ms. Ponciana Cruda (Municipal Agriculturist), Ms. Lilia I. Auza (Municipal Nutrition Program Coordinator, Ms. Victoria Camargo (District Nutrition Program Coordinator), Zosima Gabisan (MSWDO Head) and Mr. Camilo Garcia (SB Secretary). Due to urgent matters to attend to, the Municipal Mayor of Talibon, Hon. Restituto B. Auxtero, was not able to personally receive the plaque from the awarding panel composed of Mr. Teodoro A. Casiño Jr. (Party List Representative – Bayan Muna), Dir. Asuncion M. Anden (Regional Director, DOH-CHD 7, Chair, Regional Nutrition Council), Dr. Parolita A. Mission (Nutrition Program Coordinator, National Nutrition Council 7) and Dr. Lakshme I. Legaspi (Asst. Regional Director, DOH7). With the cry “Nutrition Action Officers as Catalyst for Change”, the National Nutrition Council 7 saw fit to award or give recognition to exemplary individuals and LGUs (Local Government Units) who implemented nutrition programs that were innovative and far reaching in the areas of their concern.